Kinney’s Carpet Care was initially a Rainbow International franchise that Kevin Kinney opened in 1987. After ten years of running his franchise successfully, Kevin decided to branch off and start his own personal business, enabling him to provide exactly the kind of service he wanted without any corporate policies to get in his way. At first, Kevin performed most of the carpet cleaning on his own, but after business began to really take off, he hired and personally trained a small staff of hand-selected technicians that he could add to his team in order to increase his response and turnaround time. With his team of dedicated professionals, they continue to serve the greater Lake Tahoe area and beyond with superlative care and attention to detail. Kinney’s Carpet Care stands behind every job we perform, and we make sure everything is done to your satisfaction every time. If for any reason, you aren’t satisfied with our results, we will come back and do everything we can to make it right at no additional cost. We take great pride in the services we provide and highly value each customer. We know that every new customer is just another chance for us to impress you and earn a new client for life. Our services are all performed with professionalism, care, and expertise. We have been a Better Business Bureau accredited business with an A+ ranking for over a decade and are fully committed to living up to our reputation. Most of our business has come by way of referrals from our happy customers that we have been servicing for decades. We believe in the importance of customer-first mentality and do everything we can to make sure your relationship with us is a wonderful experience from start to finish. We know our methods work, and we guarantee results that will keep you coming back for years to come. Kinney’s Carpet Care is committed to providing the utmost in carpet, upholstery and tile cleaning needs with a friendly smile. In our commitment to best serve our clients, we also provide 24/7 emergency water extraction services that allow us to respond to all your flooring needs. Kinney’s is there for your time of need and is dedicated to providing you the best service in town at competitive rates. 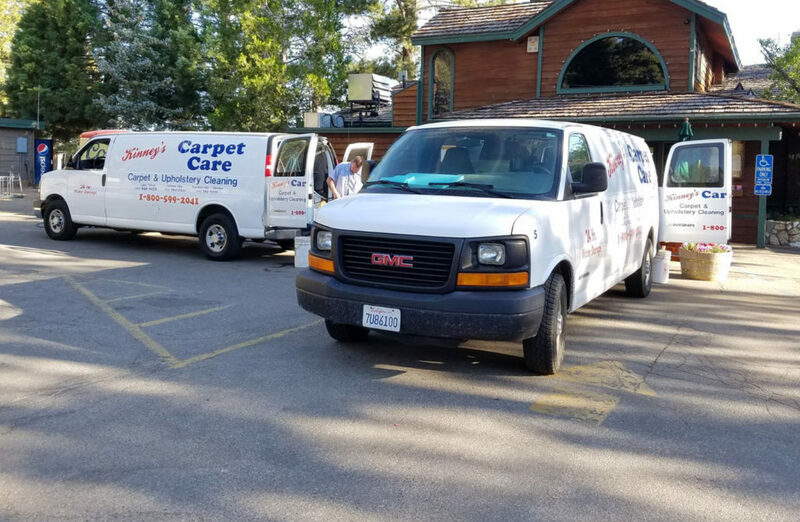 Our long history of service to the Lake Tahoe area is something we are very proud of, and we are fully committed to continuing our legacy of great service at affordable prices for many more years to come. Customer satisfaction truly is our guiding purpose and our sole mission in business. We believe by focusing purely on customer satisfaction that we can provide a service that is unrivaled - giving us the competitive edge that will allow us to continue to provide top-notch service at reasonable rates now and long into the future. We know we can provide you with the best service around because our professional staff is second-to-none and our dedication to customer service guarantees your satisfaction every time. Do You Have a Specific Issue or Question?